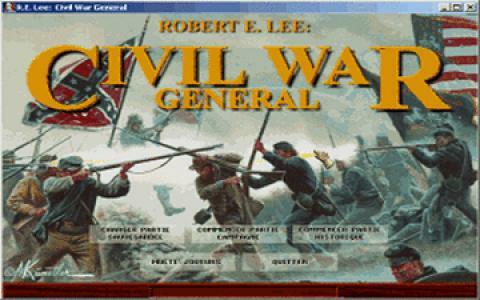 Civil War (full name Robert E. Lee: Civil War General) is a neat turn based strategy game set in the American Civil was in the 18th century. In the game, you hold the confederate side of the war. The game is pretty authentic about recreating the events from 300 years ago. You play the game in 2D graphics in a top down view and the game is overall very nice looking and detailed. 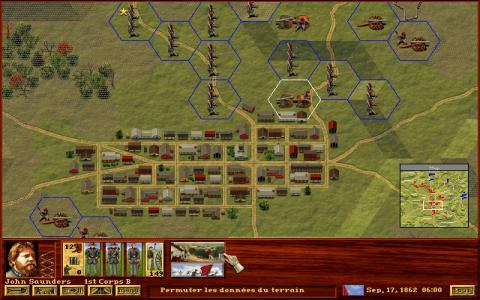 In the beginning of the game, you have a tutorial that will show you how to play the game, so you won't be lost in its complexity. The AI is programmed well enough to make you sweat on the hardest difficulty. Right at the start, you hear Glory glory halleluja and marching snare drums and that really gets you in the warring mood and the mood continues through very good gameplay and the rest of the charging soundtrack with guns firing, charging horses and marching troops. The game even includes a little history book for you to learn about the facts and trivia about the Civil War. 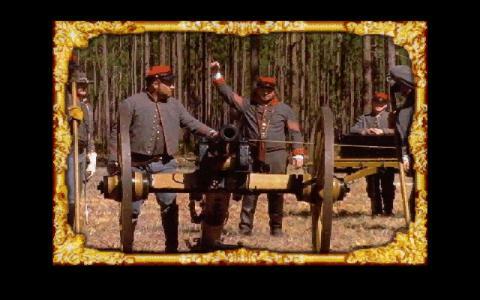 This game is a fantastic representation of Americas greatest history moments, it is great fun and a big challenge so it is recommended not only for the Civil War fans, but also for any strategy game enthusiast looking for a good time and a challenging game. 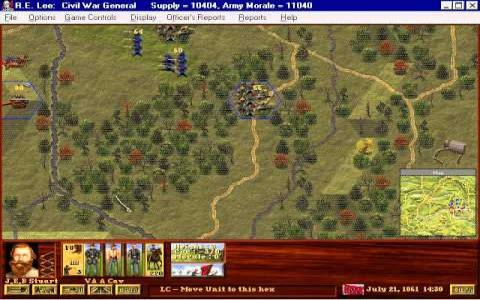 And you should also check out the game's sequel, Civil War Generals 2.